Guess what? We are back! We would like to apologize for the hatius as we have been really working behind the scenes doing universal, Higher Spiritual & Planetary work. We are very well aware that we are behind regarding the website/s and the youtube channels and social media outlets. So much goes on behind the scenes that 99.9% of the population are not aware of. We will shed light on this topic soon as well. We are excited to present you the new installment to our chakra series! The 5th Chakra or Throat Chakra, known in Sanskrit as “Vishuddha” (meaning “Pure” or “Purification”), deals with Communication, creativity, healing, learning, truth and speech. Have responsibility for one's own needs, confession, faith, truthfulness, self-knowledge, and expression. Located at the center of the neck at the level of the throat, it is the passage of the energy between the lower parts of the body and the head. 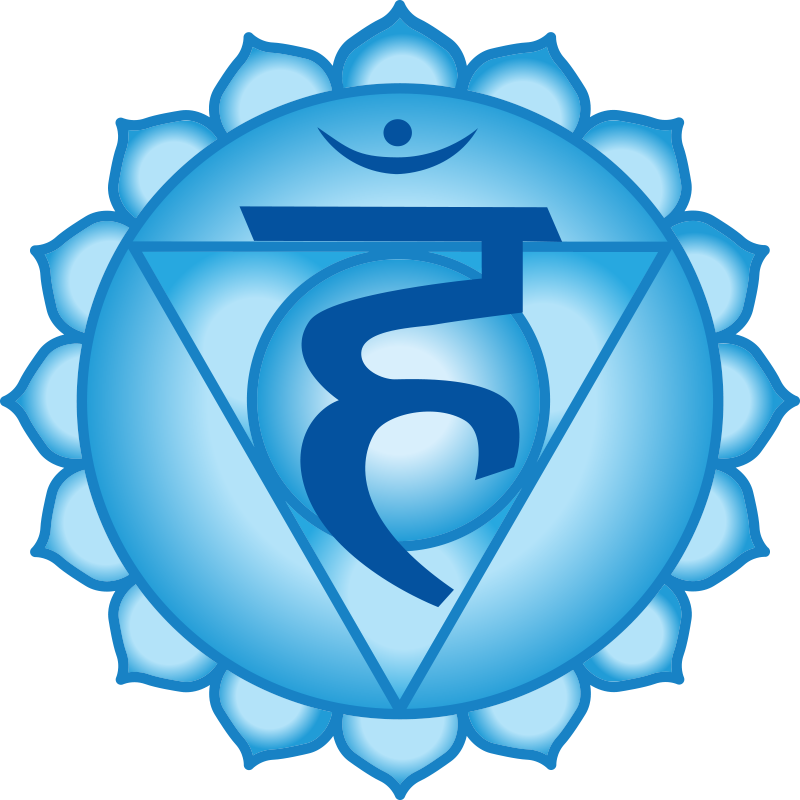 The function of the Throat chakra is driven by the principle of expression and communication. The Vishuddha chakra governs the throat, thyroid gland, parathyroid gland, trachea, cervical vertebrae, vocal cords, neck, shoulder, arms, hands, esophagus, mouth, teeth, and gums. The Throat chakra is associated to the pharyngeal and brachial plexi and is connected to the mouth, jaws, tongue, pharynx and palate. This Amazing Chakra is all about expression, how we use our inner voice and sound to communicate with others. 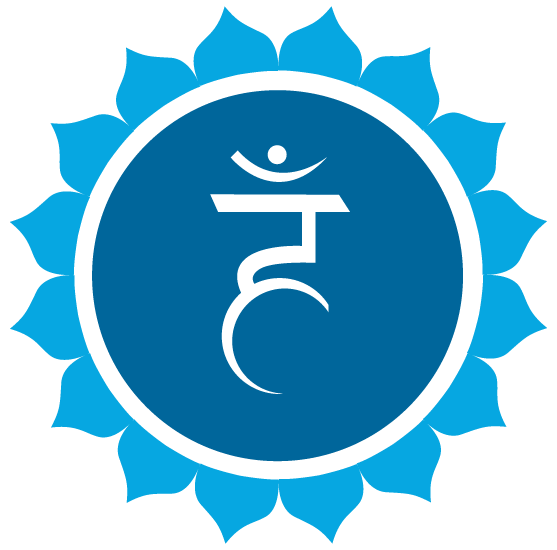 The throat chakra is associated with the etheric body. 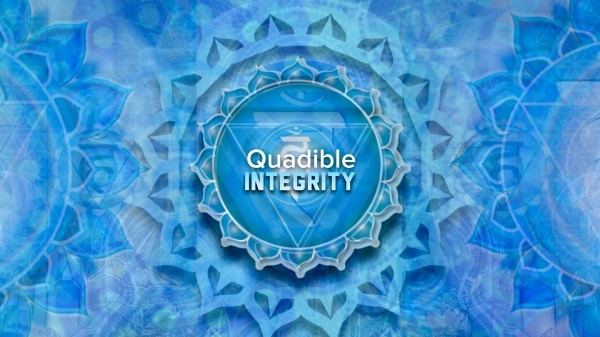 It’s an important reference point to align the energy through the whole chakra system. The fifth chakra gives voice to the feelings of the heart. It speaks out our love, kindness, and forgiveness. In this center the four elements—earth, water, fire, and air—of the lower chakras are combined into pure energy, which provides the matrix or framework for our dreams, like the honeycomb that gives form to a bee’s hive. The throat chakra deploys this matrix around which we create our world. This formulation contains numerous frequencies, programmed energy, mantras such as”HUM”, gemstone & crystal healing vibrations of Blue colored stones include: Blue Lace Agate, Angelite, Amazonite, Turquoise, Aquamarine, Chrysocola, Celestite, Azurite, and Lapis Lazuli all working towards a balanced, energized and healthy Throat Chakra while revitalizing imbalanced characteristics listed below. IMBALANCED CHARACTERISTICS of the 4th Chakra include: Thyroid Issues, Sore Throats, Mouth Ulcers, Neck Pain, Hearing difficulty, ear aches, compulsive talking, speaking too much or inappropriately, unable to listen to others, Excessive fear of speaking, imperceptible voice, unable to keep secrets or keep your word, Telling lies, dishonesty, excessive secretiveness or shyness, Lack of connection with a vocation or purpose in life, afraid of openly expressing your views, unable to stand up for yourself, dental or jaw problems as well as shoulder, arm and neck stiffness, arthritis etc. On the contrary, the ones with healthy Throat Chakras have highly attuned communication skills and the ability to detect lies or truths in conversations. To Receive maximum benefits from this formula, make sure there are no disturbances when listening, sit/relax in a peaceful quiet place & close your eyes, focus on your breath while transitioning into a meditative state. If you happen to have some crystals/gemstones that stimulate the Higher Heart Chakra handy, hold them while listening for added benefits. ♡Thank you to all of you beautiful souls who have graciously made donations as we are filled with endless gratitude. Your chakra tracks are doing some amazing things for me. I listen to 1 through 6 together, base to higher heart. I’m greatly anticipating the final 2 chakras. Thank you for your work. Hi, are you subliminal available to purchase as Mp3? Do you create custom ones also? I would love to buy CDs [preferred] or downloads because I am unable to use headphones to listen online. The secret government blasts my ears with cacophony designed to scramble my brain. I use computer — but without headphones to avoid brain damage. Let me know how. I would even pay you to burn CDs for me.